Quick and Easy Flat Bread. It’s a sad reflection on my crazy life that it is easier just to make flat bread from scratch than it is to load all four kids into the car and drive all the way into town to buy some! But it’s also a reflection on how quick and easy this flat bread recipe is. We love our homemade naan, it’s so soft and chewy and bubbly, but it’s yeast based, so it has to be kneaded and it takes hours to rise, and then you still have to roll it all our and cook it. It’s awesome, but when you have a hankering for flat bread for lunch and it’s already midday you need something quick! 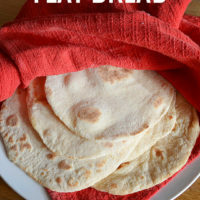 This flat bread has no yeast, so it’s not as light and fluffy, but it is super quick and easy to make and you can have flat bread ready to eat in around 15 minutes if you are good with a rolling pin! 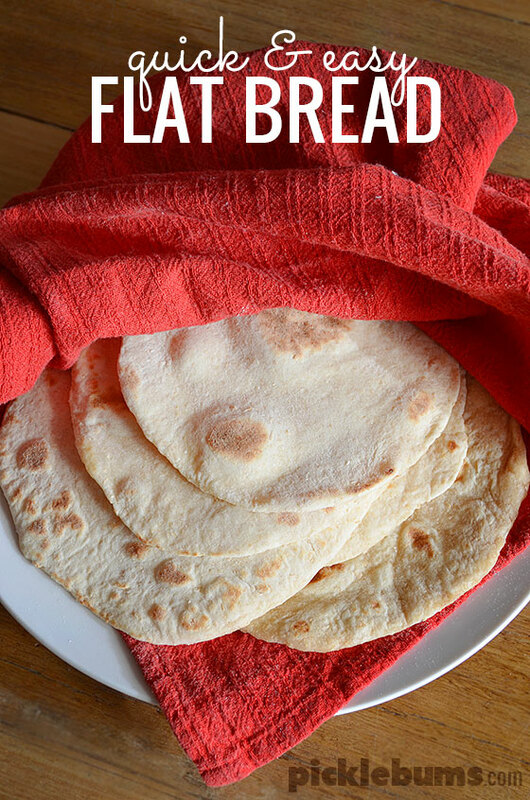 This flat bread has no yeast, so it is super quick and easy to make and you can have flat bread ready to eat in around 15 minutes if you are good with a rolling pin! water - enough to make a smooth non-sticky dough. In a large bowl combine the flours, baking soda and salt and mix well. Make a well in the middle of the flour and add the oil and yoghurt. 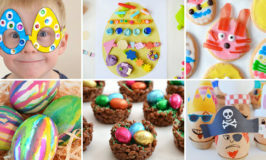 Mix the wet and dry ingredients together to form a dough - adding a little water if it is too dry. Knead your dough till it comes to together in a nice smooth, soft, ball. If you have time set the dough aside to rest for 30 minutes, but if you don't have time skip that bit. Form the dough into a long sausage and divide into 10-12 equal sized pieces. 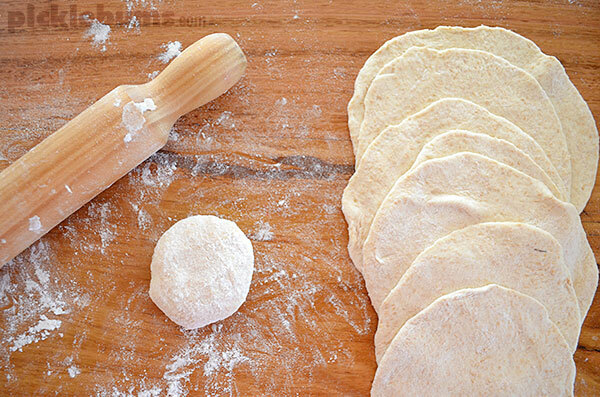 On a well floured surface roll the balls of dough out into rough circles. Once rolled out cover them with a damp cloth while you do the rest. Heat a fry pan large enough to accommodate your flat breads over a medium heat. A cast iron pan works great for this. Give your flat bread a quick brush with water and place, wet side down, onto the pan. Cook for 30 - 40 seconds as the bread puffs up, then turn and cook the other side for 30 seconds or until both sides begin to brown. Pop cooked bread onto a warmed plate and cover with a cloth. We use half and half wholemeal and white flour, but you can make this recipe with all wholemeal too, you may just need to add a little more water. These are also great if you add fresh chopped herbs and/or garlic into the mixture. We ate ours straight from the pan with homemade yoghurt dip. Just wondered what yogurt dip do you have with it? 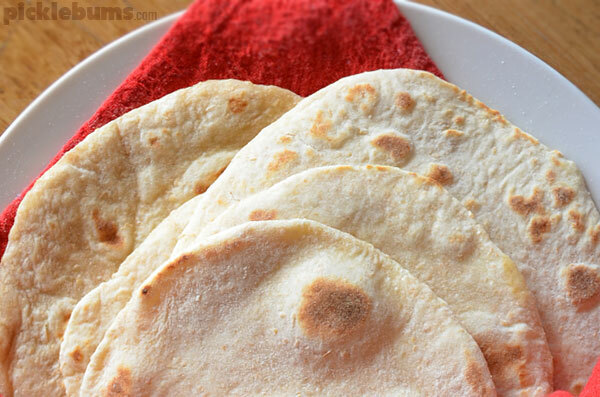 Home » Quick and Easy Flat Bread.